​​If you're looking for the most stylish stroller on the planet. ​It's just superb. Everything has been thought of with this stroller. Reflective lining for use in dark conditions. Like I said, they've thought of everything! Summary: One of my favorite features is that the stroller is so high which means I'm not bending over too far to pick up my baby. It's also great if you're at a restaurant (all material on the stroller is washable) because you don't need to get a high chair. ​It's just all around great quality and super stylish. ​Not only has Scandinavian design taken over the interior design of homes, it has also taken over the world of strollers. Stokke is a Norwegian company that was established in 1932. It has been owned by the same family ever since then. In 2006 Stokke stroller decided to focus exclusively on children’s furniture and equipment. Their products are distributed throughout the world and can be found in specialist stores. 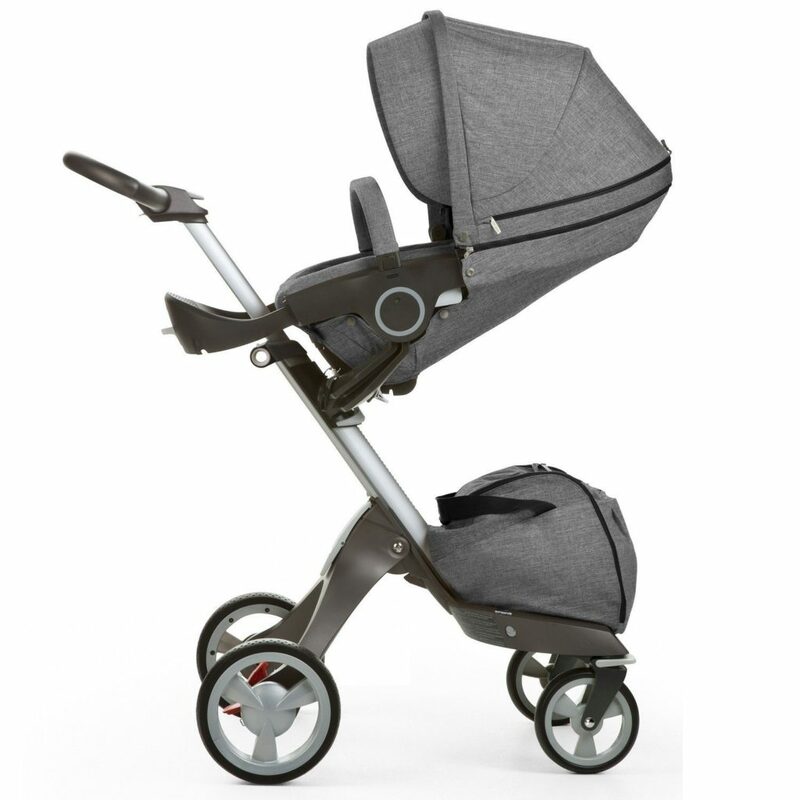 The latest Stokke stroller is the Stokke Xplory V5. 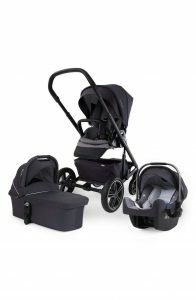 They also have other strollers such as the Scoot, Crusi and Trailz. You can find out more about the brand at their home page – https://www.stokke.com. 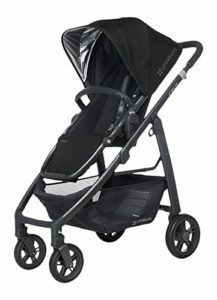 The below pic is of the Stokke Xplory. For me, the Stokke Xplory Strollers are the most modern and stylish strollers available. But they come at a price much like its main competitor, the Bugaboo Cameleon which superseded the Bugaboo Frog. They are probably one of the most expensive strollers available today but you really do get what you pay for. I love that your baby sits up higher than any other stroller and this makes the whole stroller experience different. Your baby sees more and you end up interacting with your baby a lot more than with other strollers. The Xplory will definitely turn a lot of heads so if you do not like a lot of attention and complete strangers coming up to you and asking you questions about your stroller, then this is not the stroller for you. For me, this is a small price to pay. This stroller does almost everything perfectly. You can’t be a high end brand and not have celebs loving your brand. Stokke strollers are used by celebs such as Bruce Willis and Emma Herning, Giuliana Rancic, Tina Fey, Gwen Stefani and Helen Flanagan. As a top of the range, luxury stroller, you would expect this stroller to have lots of features and it has. It is a safe, well designed stroller. The main features are listed below. Virtually all Stoke Xplory Stroller Reviews are very positive but here is some information you might not know about Stokke prams. The bassinet is at a very comfortable height for a parent to work at and is much higher than other strollers. It has a curved base and ventilation which reduces the likelihood of dampness at the bottom of the bassinet. There are 4 pockets to store bottles etc. There is also a pocket for the handles which helps protect your baby. The bassinet shell is made from hard plastic which protects your baby and is easily cleaned. The hood has a visor that can be easily removed. The hood has an opening for ventilation in hot climates (opening is protected by a mosquito net). 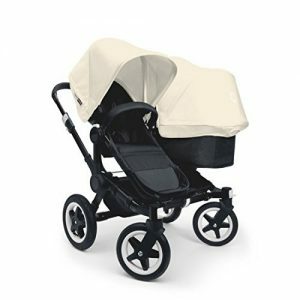 The bassinet cover is foam lined and is removable if using the stroller in warm climates. 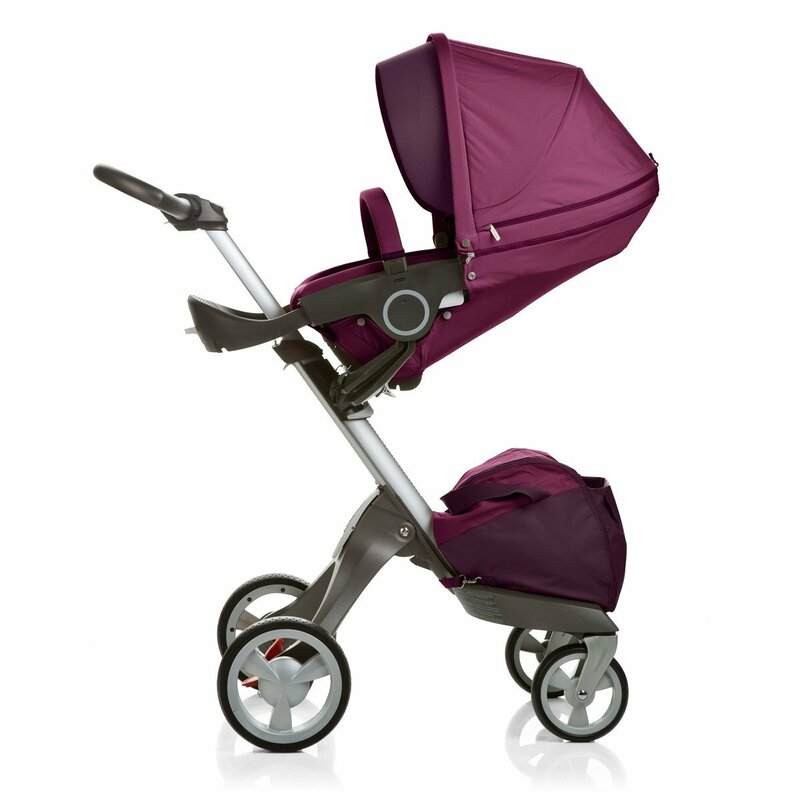 As you would expect from such an expensive stroller, the Stokke Xplory is really maneuverable. The two large rear wheels and the two, swivel front wheels combined with the optional two wheel mode make this a great stroller to move around. But it is not the best. I found the UPPAbaby Vista slightly better when maneuvering in tight spots. If the seat is used in the highest position, the ride can be a little more unsteady and this would be amplified when carrying older, heavier children. The ride is still comfortable for babies at full seat height and the stroller is in no danger of falling over on level surfaces. The seat height is adjustable and like the bassinet, is very high compared to other strollers. This makes working with your baby much easier. The adjustable height means that it can be used as a baby chair at tables in restaurants and cafes. The foot rest is adjustable and as your baby grows, they will always have a comfortable foot rest position. The seat comes with an extra cushion that reduces the seat depth for small babies. This can be removed as your baby grows and does not need the extra support. The seat is reversible and has a hood like the bassinet hood. The seat has 3 recline positions when facing the parents and 2 recline positions when facing forward. The Stokke Xplory Stroller collapses rather than folds. After shortening the handle, the stroller is “folded”by bringing the wheels closer together. The stroller takes up a lot of space when folded and will not fit in some car trunks. However, the wheels are easy enough to remove but this would not be a nice task to do when it the wheels are wet and it is raining. Although the Stokke Xplory stroller folding process is not as simple as the Uppababy Vista, it is still a very simple process. 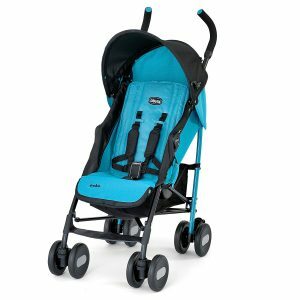 If the seat is left in position and the handle extended, the stroller is now in two wheel mode which is a very handy feature when traveling over sandy or soft ground or when going up stairs. The handlebar is adjustable for both height and also for how far away you stand. The adjustments are really easy to do. UPDATE – The Orbit Baby G2 by Orbit Baby is a discontinued model. I will still include the comparison below. Of these two strollers, the Orbit Baby G2 has the most adjustable seat. The Stokke Xplory seat is higher but not by much and it has only 3 recline positions. The G2 wins due to the fact that the seat can rotate 360° which comes in very handy in tight areas. 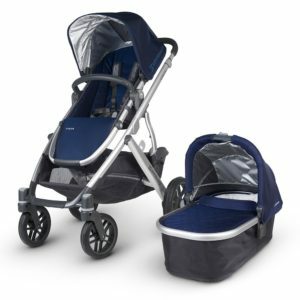 Both strollers have puncture proof wheels and both are very easy to maneuver. The front wheels on the Xplory do not lock and this can be a hindrance when traveling over rough ground. The Stokke can be easily converted to two wheel mode for traveling over rough terrain and this is a very handy feature. The Orbit Baby is better as a travel system and when used as such, it is superior to the Xplory. The seat is very easy to transfer from the stroller to the car adapter. 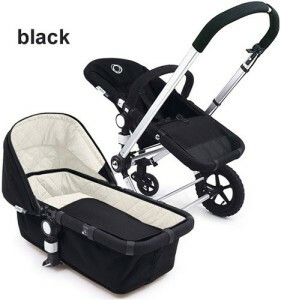 The seat must be removed in both strollers before folding and although both stroller fold very easily, they both take up a lot of room when folded. The G2 wins in the folding due to the fact that it can be folded with one hand slightly easier than the Xplory. 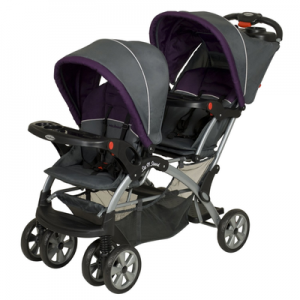 There is very little to separate these two strollers but the Xplory wins (marginally) in looks and performance. However if you are going to be transferring your baby back and forward from your car, the G2 is the better stroller and makes this much more convenient. Extend the frame and put it into a standing position. Just beneath the handle are two white buttons. Press both of these in and up. Simultaneously press down with your foot on the arch just above the wheels. The rear wheels fold backwards to the standing position. Extend the handle to a comfortable height. Locate the white, triangular tab at the front of the handlebar. Lift it fully upwards while securing the stroller with your foot on a rear wheel or lower frame. The handlebar will extend. Release the white tab and secure it back into position again. Attach the seat. This is very simple. Lift the seat onto the two supporting lugs on the frame. Initially have the seat facing forward – we can adjust this later. You will hear an audible click when the seat is locked into position. Footrest. The footrest slides into two holes at the base of the seat and again, there will be an audible click as it locks into position. Safety bar. The safety bar slides easily into holes on either side of the baby seat. An audible click will be heard as it locks into position. Canopy. Align the canopy attachment points with the seat attachment points and press into place. Use the zipper to attach the canopy completely to the seat. Infant insert. When using the infant insert, make sure that the seat is facing towards you. Place the insert in the seat and pull the safety harness straps through the holes in the insert. Storage bag. Place the bag on the lower platform, just above the front wheels. Pass the strap behind the frame and clip into the attachment fastener on the opposite bag strap. Your Stokke stroller is now fully assembled and ready for use. These prices are valid as of ​December 2017. ​You can use my exclusive 15% discount code at the strollerdepot.com. Just use the code strollerreview15 to get 15% discount off pretty much everything you need, not just strollers. You can check out the price at amazon also. 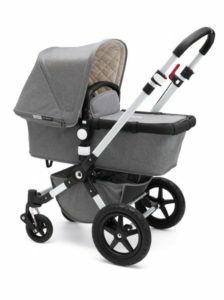 The Stokke Xplory is one of the most expensive strollers on the market today but they are worth every cent. The Stokke strollers’ futuristic design combined with its ingenious practicality make it a favorite with parents all over the world. Your baby sits higher than babies in other strollers. Your baby can see more and you can interact with your baby much more. Your baby can see much more of the world at this height and you do not have to strain your back every time you interact with your baby. 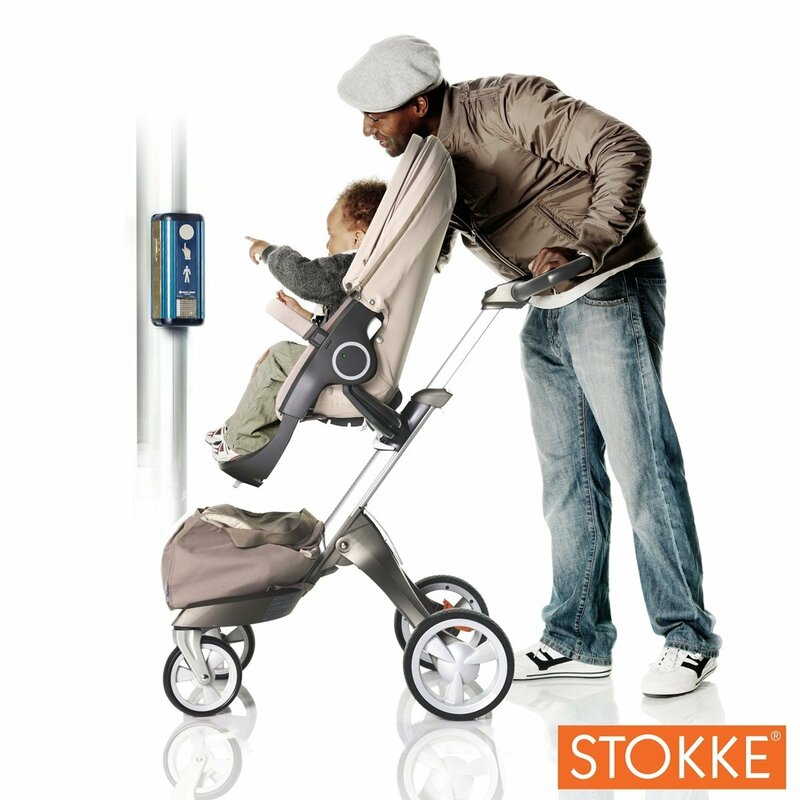 However be prepared for a lot of attention when you go anywhere with the Stokke Xplory stroller. Virtually all Stokke Xplory reviews will have a positive flavor and I hope this Stokke stroller review was helpful but any feedback or personal reviews would be welcome and you can do this through the comments box on more recent posts or through the contact page. Check out my review of the Stokke Scoot. Stokke does have an option for those who need a double stroller but don’t want a massive double stroller like most of them are. Check out the Stokke Crusi. Even if you have a high end stroller, there will be times when you need a lightweight stroller and for that I’ve covered umbrella strollers here. The Xplory is a ridiculously stylish stroller. There is no way of replacing it. It has all the style you would expect from a Norwegian company. The only issue is the price tag. The Xplory is simply out of the price range of most people. Check the price of the Xplory. 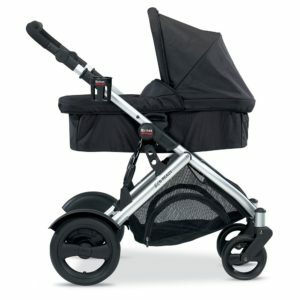 In the table below I’ve listed some other great strollers which aren’t as expensive which you may want to consider. If you can afford the Xplory, you won’t regret your purchase, it is an outstanding product. After the below table I’ll continue on with the review of the Xplory.